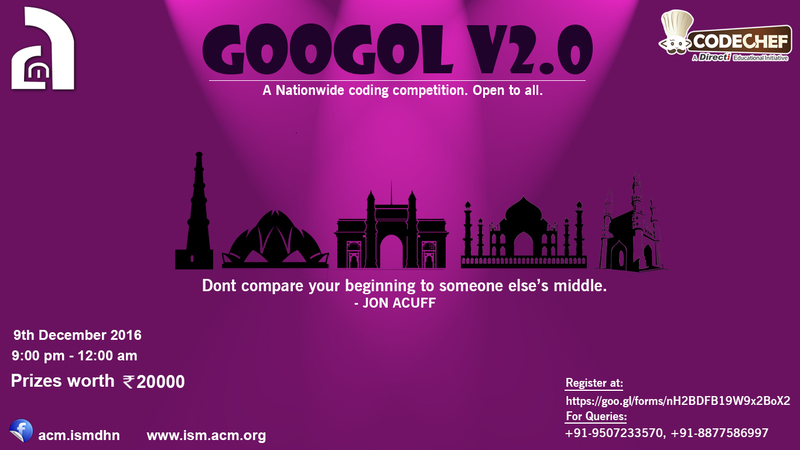 Organiser: The contest is hosted by IIT(ISM) Dhanbad, ACM Student Chapter. Please contact vaibhav.goyal58@gmail.com for any queries during the contest. There was some bug in test cases of Saree and Friendship problem.Sorry for the inconvenience caused. We have fixed all the bugs now.We are extending our contest by 30 mins. Don't Worry we are rejudging your previously submitted solution for the problem Saree and Friendship and your score and time will be updated accordingly.